Tahiti covers over two million square miles of the South Pacific Ocean and is comprised of 118 islands spread over five great archipelagos. Here, around these South Seas isles, a romantic sunset sea sends giant curls of turquoise breaking onto the colorful reefs that protect the tranquil lagoons of warm, bright-emerald waters and white coral-sand beaches. Many islands are crowned with jagged peaks while others appear to barely float above the breaking waves. Spread over an area as large as Western Europe, the total land mass of all the islands adds up to an area only slightly larger than the tiny state of Rhode Island. Easier to travel to than you might imagine, Tahiti’s Faa’a Airport is under 8 hours by air from Los Angeles, with daily nonstop flights. In Rangiroa, to “shoot the pass” is to experience what many have called “the world’s greatest adrenaline rush!" 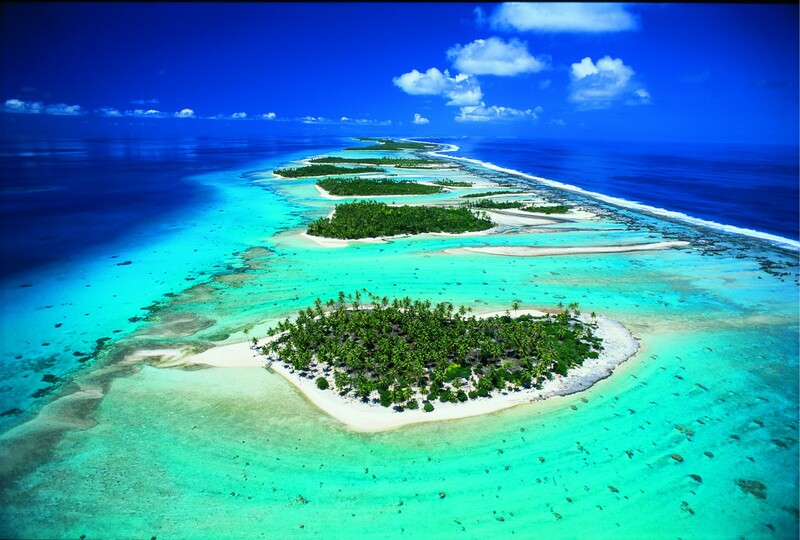 Fakarava is home to the northern pass of Garuae, the largest pass in French Polynesia.